In Tasting Tomorrow: Futurecrafting FoAM designs and hosts a food futures workshop and culinary design challenge. We use futures techniques to ask "What might thriving food cultures in Malta look like?" In a day-long futuring workshop on the 27th of April, we seek answers in divergent scenarios with food as the main protagonist. What might be interesting historical examples, what changes could be made today, what things should remain the same, and what could look different in 5, 50 or 500 years? We jointly explore such questions through a series of futuring exercises. By the end of the day we aim to design several scenarios that point to divergent futures. We might also identify signals in the present to function as guiding lights or warning signs, to help the participants pro-actively contribute to the futures they prefer, and develop abilities to adapt to any future that might unfold. Together with local chefs, farmers and other foodservice providers, we will translate the stories into dishes, ingredients, tools, preparation and serving methods. 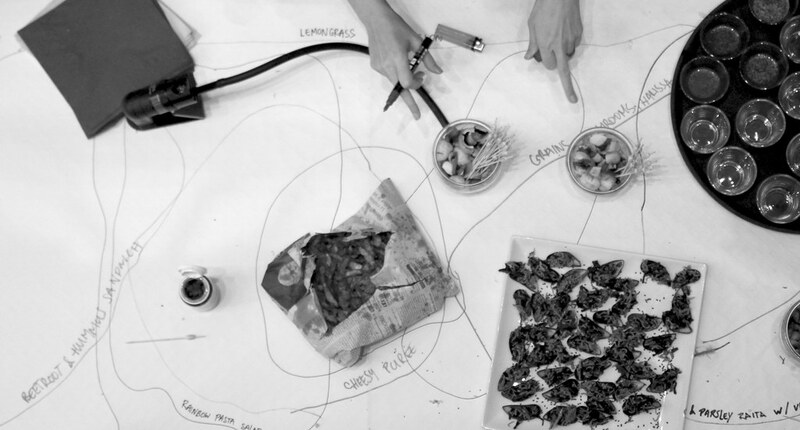 In a series of culinary prototyping sessions we will jointly cook up a reception menu with dishes from alternative futures. The project is part of the Presents of the Future programme of the 2017 Maltese Presidency of the Council of the European Union with the support of Arts Council Malta and the Valletta 2018 Foundation.